Just 3 more weeks and Cinco de Mayo will be upon us so what better way than to enjoy an appetizing Mexican Pizza at your fiesta! 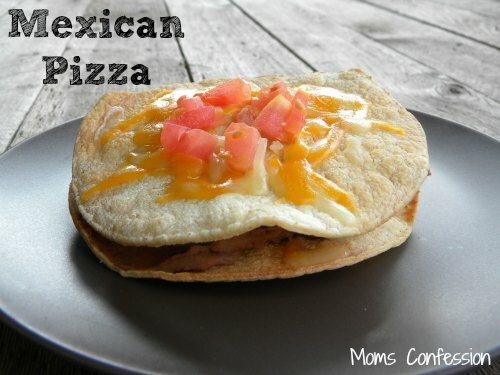 It’s week 2 of the “get ready for Cinco de Mayo” at our house and this week we are ditching the added calories and sodium for our Tex-Mex dinner with this Taco Bell inspired mexican pizza. It’s a simple dish that everyone loves in our house and I hope you enjoy it at your next gathering as well! Stay tuned for more great Tex-Mex dishes you can enjoy with your family this Cinco de Mayo. Preheat oven to 350 degrees and bake corn tortillas flat for 10 minutes. 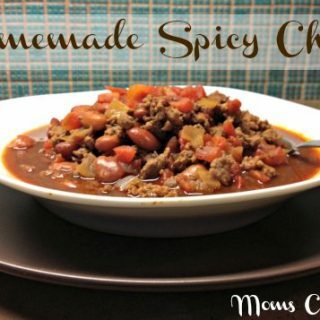 Cook hamburger meat and add taco seasoning. Add refried beans to hamburger meat and heat thoroughly. Remove corn tortillas from oven. Layer hamburger/bean mixture and cheese on top. Cover with second corn tortilla. Top with shredded cheese and bake 3-5 minutes to melt cheese. Top with tomatoes and serve. Savor the flavors and enjoy your mexican pizza topped with our delicious homemade guacamole or easy homemade salsa!